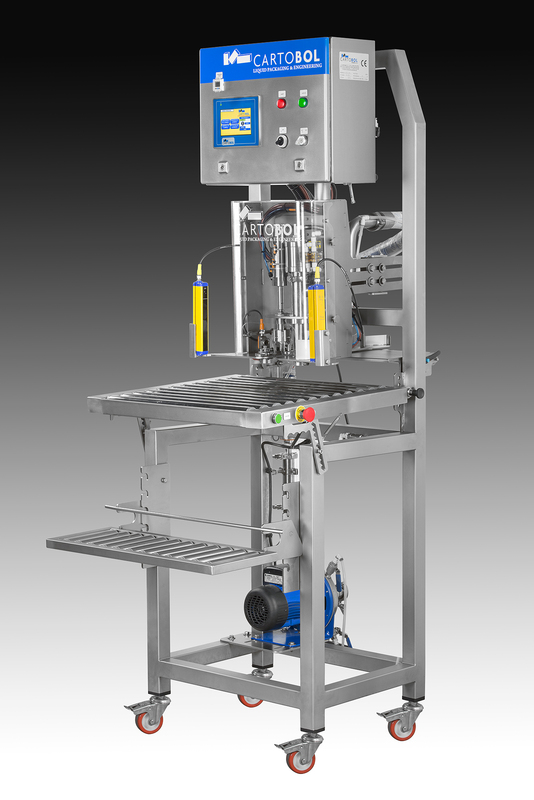 The ECOFILL HT1 SW is a semi-automatic filling of latest generation designed for filling of individual bags (SINGLE mode) or continuous (mode WEB) interchangeably. Startup, destaponado, empty air, filling, nitrogen injection, capping and final expulsion from the bag is entirely automatic. Equipped with pump centrifugal, Electromagnetic Flowmeter, touch screen and automatic start bars. Its electronic and pneumatic components provide you with maximum reliability and performance. SINGLE: operator position holding a bag and checked out the hand. The machine will detect that the bag is well placed and directly proceed to uncap, carry out a vacuum of air in the bag, fill with product, injecting nitrogen, clog and finally expel the bag. WEB: bags moving through the Guide, the operator simply dispose of bag until it is in a subject. The machine will detect that the bag is placed in the right place and directly proceed to uncap, carry out a vacuum of air in the bag, fill with product, injecting nitrogen, clog and finally expel the bag.